motor co-ordination or sensory integration difficulties impacting on their learning abilities. These could be related to dyspraxia, ADHD or autism spectrum condition; affecting abilities such as handwriting, achieving good sitting balance, being able to concentrate or socialising with friends outside in the playground. Sensory integration refers to basic neurological processes, which take place before information received from our senses (especially about touch, movement and body position) reaches the higher levels of the brain. There are great variations in the individual ability to process this nformation. Adaptive responses are equally varied. Sensory processing capacities inform movement, attention and concentration skills and can also influence social behaviour. Our specialist Occupational Therapist has postgraduate training in sensory integration therapy (SIPT certified) and neurodevelopment treatment. A large therapy room with a wide range of equipment is available for individual and small group work. Therapy may be planned as a long term measure or as blocks to be implemented at intervals according to each child's individual needs. Complementary exercise programmes are devised for use in class or at home. Support may focus on the planning and co-ordination of movements, on fine motor skills and dexterity including support with pen-grip and handwriting, or on gross motor skills, core strength and balance. Sensory integration therapy may be used to help those who experience difficulties with sensory processing. 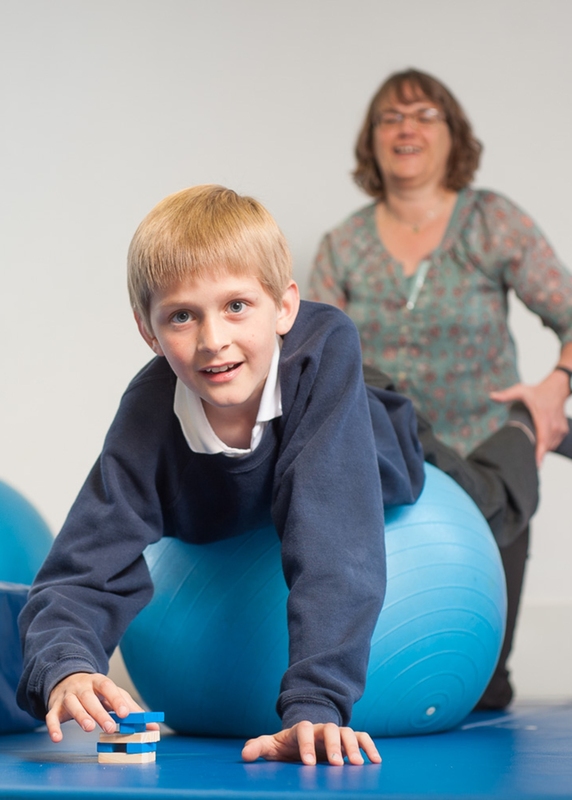 Occupational Therapy is an integral part of our whole-school approach which integrates specialist class teaching, one-to-one tuition, Speech and Language Therapy and OT. Our staff work closely together to build an integrated, nurturing support network for each individual pupil; helping to bridge the gap between the pupil’s current performance and their potential achievement.